MP3 Printer retains natural track order and optionally add album and track number to assist in track nagivation when using a portable MP3 player or DVD player. Do you use your DVD to play MP3 files? Click here to read about how MP3 Printer can be of use to you. 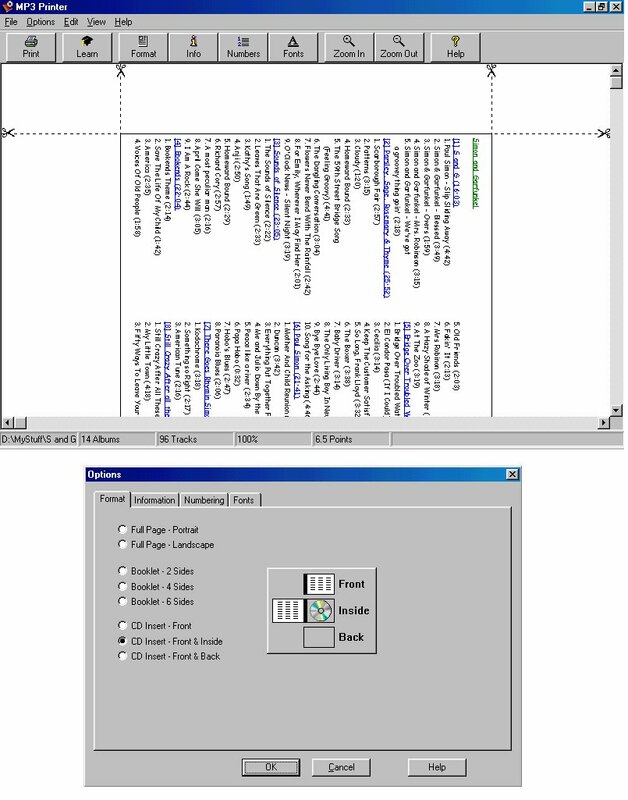 Result can be printed, copied to clipboard or saved as an HTML file. Supports WMA and OGG files. Qweas is providing links to MP3 Printer 1.08 as a courtesy, and makes no representations regarding MP3 Printer or any other applications or any information related thereto. Any questions, complaints or claims regarding this application MP3 Printer 1.08 must be directed to the appropriate software vendor. You may click the publisher link of MP3 Printer on the top of this page to get more details about the vendor.